Oakridge, Oregon is shaped like a bowl. A gentle upward slope of the hillside buffers the north, east and west sides of the town, while the Willamette River forms the border of the south side. This configuration makes the town prone to stagnant air and temperature inversions. In the winter months especially, cold, dry days cause a lack of wind flow, and when temperature inversions occur, hot air rises, trapping cold air in the valley. Because there is no natural gas line in Oakridge, people primarily use wood-burning sources to heat their homes; and when smoke escapes from chimneys, it is trapped by the inversion and eventually settles back toward the ground, polluting the air with dangerous particles that are potentially harmful to the health of Oakridge citizens. “If you’re looking over toward the river on the south side of the highway you can see it, but it’s pretty much congregated to that area because that’s where the river is and the river acts as a magnet,” said Oakridge mayor Jim Coey. However, all that is starting to change. With the help of educational materials, increased enforcement and a community firewood program, Oakridge is making progress in reducing wood smoke in the area. For many years, Oakridge has been in nonattainment status with the Environmental Protection Agency’s air quality standards – meaning the city exceeded required levels for particulate matter (PM) 2.5, which are solid particles from wood-burning sources that mix with water in the air and can negatively impact health. But in 2016 Oakridge achieved the necessary requirements to be in attainment. Now the clock is ticking to continue that trend. The EPA requires measurements of PM 2.5 every year and averages out the data from the past three years to determine attainment. If a city is in nonattainment status, it can limit economic development in the area, as well as prevent it from receiving federal funds, according to Oregon Solutions, an organization that acts as a project management company. The city of Oakridge partnered with Oregon Solutions and Lane Regional Air Protection Agency (LRAPA) to implement a three-part plan to continue improving air quality in the town of just over 3,000 people. According to documents put forth by Oregon Solutions, the strategy includes education, enforcement and financial assistance, and will cost over $1 million. Plans for education include distribution of materials that explain wood burning advisories and techniques, as well as a diversion program, which is an educational course that replaces a fine for those who are first-time offenders of burning wood during banned days. In terms of enforcement, the city updated burning codes, exemptions and fines. It also hired a part-time code enforcement officer. To provide financial assistance, the city is collaborating with Lane Electric Cooperative’s low-income assistance program, which offers free ductless heat pumps and home weatherization for low-income homeowners. The city has also created a community firewood program, which has seemingly been one of the most successful programs for Oakridge thus far. 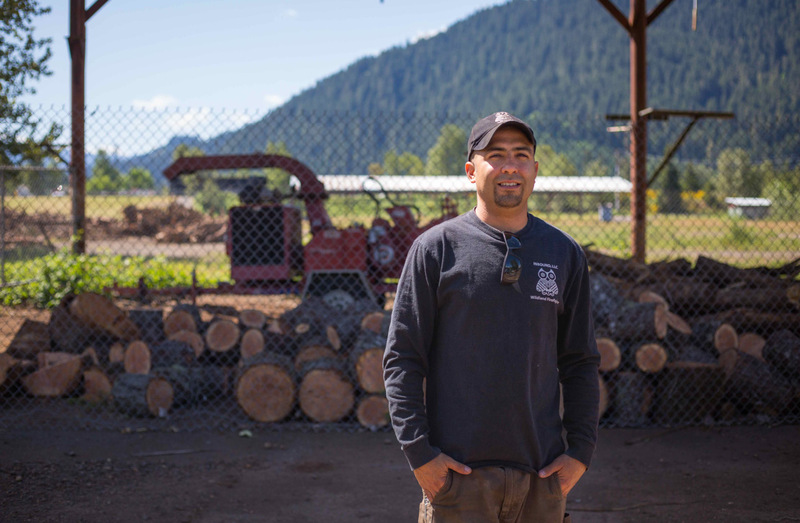 The program is a collective between the city of Oakridge, the Southern Willamette Forest Collaborative – an environmental planning nonprofit organization – and Inbound LLC – a contract firefighting company – and it provides seasoned firewood to members of the Oakridge community. This firewood is more effective at heating homes, as it is drier. As a result, it releases fewer harmful particles into the air, as opposed to green wood, which is wood that hasn’t been properly dried after being cut down, releasing more smoke into the air. The Community Firewood Program sold wood cords for $100 to disabled citizens, elderly citizens and participants of Oakridge’s low-income and sole-source heat exemption program — which allows low-income residents to burn wood on days where it would otherwise be prohibited — and $150 to everyone else. 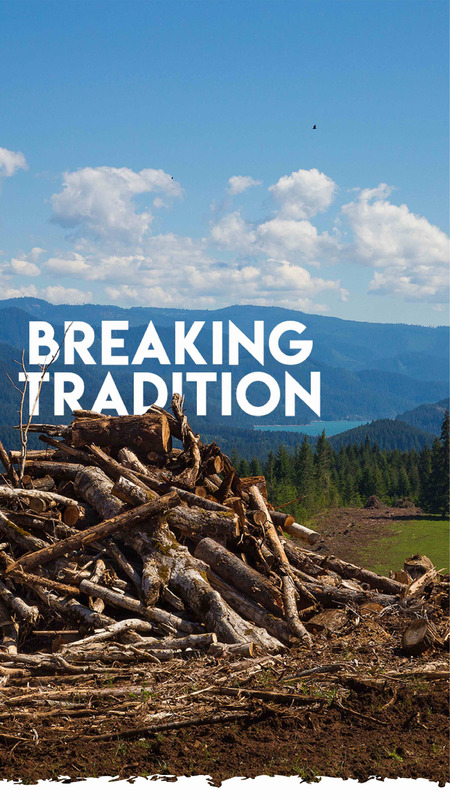 In previous years, Oakridge received dry wood as a donation from a leftover cut in Roseburg, but in 2017 there was no excess wood to donate to the city. “I think that’s why we had an uptick this year because we didn’t have the dry wood and we actually had some red days [days residents are prohibited from burning wood] this year,” said Coey referring to the increased PM 2.5 levels in 2017. For Dillon Sanders, managing director of Inbound LLC, getting involved with the community firewood program was a natural choice: “I was born a poor child with a single parent, and we lived very poorly. It was my job from a young age to be in charge of wood. For me personally, it just had traction because I grew up so poorly with only wood heat,” he said. James Diaz works for Inbound LLC, a contract firefighting company with offices in Oakridge and Portland. Wood that is collected for The Community Firewood Program is stored in this holding area and is monitored for dryness until it is ready for distribution.